1. 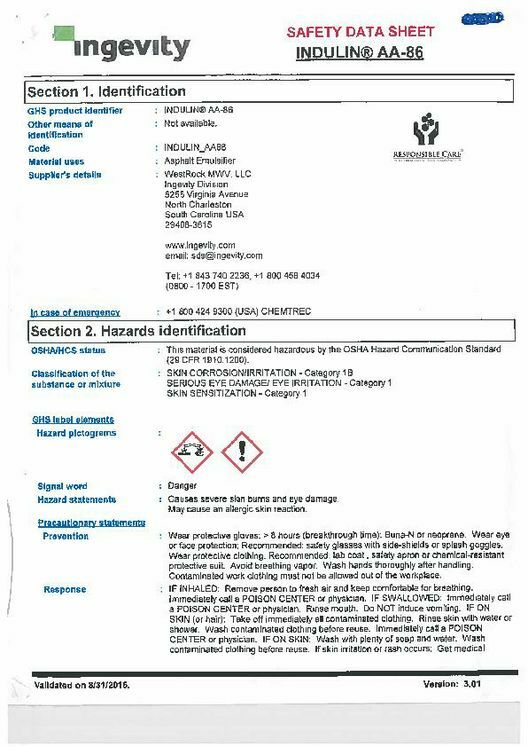 The chemical has been identified as Indulin AA-86, an asphalt emulsifier. 2. City officials estimate the amount of the product involved is from three to 24 gallons. 3. This morning, the City met with the industrial district property owner and the leasee to gather more information. 4. The City asks citizens and business owners to discontinue use of tap water until futher notice. 5. Water testing results are expected back sometime this afternoon. 6. Another news conference will take place at 1:00 p.m.,at City Hall, 1201 Leopard Street, in the 6th floor conference room.